South Africa’s surfing icons were honoured in the Surfers’ Circle Walk of Fame on Sunday when tablets commemorating the first 30 inductees who established and developed the sport and lifestyle on the Southern tip of Africa were officially unveiled at Muizenberg in Cape Town. A selection of Pioneers, Legends and World Champions, ranging from Heather Price, the first South African recorded riding a wave standing on a surfboard at Muizenberg in 1919, to Justin Strong who won the ASP World Pro-Am title in 1991, had their names recorded for posterity in the country’s first national monument dedicated to surfing. South Africa’s most famous surfing personality, Shaun Tomson, delivered a heartfelt talk of the importance of preserving and promoting surfing’s heritage before fittingly cutting a surfboard leash to open the monument. Tomson is touring the country promoting his book ‘The Code’ and was the 1977 ASP World Champion, has become an author, filmmaker and motivational speaker and is acknowledged as one of the world’s most influential surfers. Other high-profile inductees in attendance included multiple SA Champion and Springbok team captain in the 1960’s and early ‘70’s, George Thompson, who flew in from England for the occasion; Jeffreys Bay’s Cheron Kraak; 1978 ISA World champ Ant Brodowicz from KZN and Graham Hynes from St Francis Bay, the former owner of Safari Surfboards and arguably the world’s best surfing coach. After the completion of the public opening ceremony at the monument on the beachfront, the inductees and VIP’s attended a post event function where they were treated to speeches by former local councilor Dave D’Alton, Muizenberg Improvement District’s Chevone Peterson, Surfing South Africa Deputy President Bruce Anderson and former United Surfing Council of South Africa Secretary General, Schani Nagia. The national monument has been seven years in the making, stemming from the highly successful Surfers Corner 60’s Reunion event in 2010. This was followed by the launch of the Surfer’s Circle Walk of Fame in 2014 when the original 12 Pioneers, three each from Cape Town, Durban, Port Elizabeth and East London were selected. The SCWOF committee is in the process of forming an NPO to run the project, solicit donations for the ultimate aim of erecting a suitable statue to complement the plaques and to the select the inductees, who will be officially ratified by Surfing South Africa, the national controlling body for the sport. More on the Surfers’ Circle Walk of Fame can be found at www.thesurferscircle.co.za and on the Surfers.Circle.Muizenberg Facebook page. The first 12 pioneers of surfing to be inducted into the Surfers’ Circle Walk of Fame were announced on Saturday at the launch function for the national landmark that will celebrate the past, present and future legends of South African surfing at Muizenberg in Cape Town. 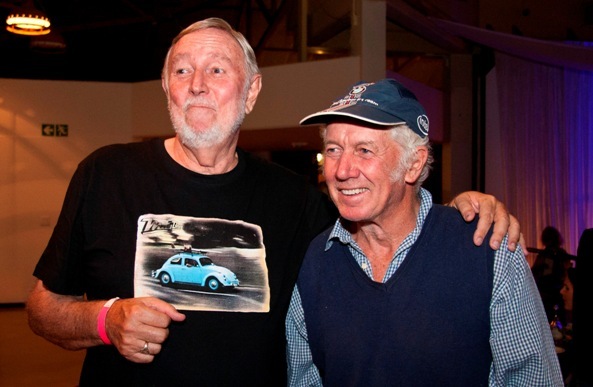 Honoured for their inspirational and influential contribution to the surf community in the period up to and including 1964, the inaugural group of honourees consists of three pioneers each from Durban, East London, Port Elizabeth and Cape Town where the majority of the country’s surfers resided 50 years ago. The crowd of nearly 400 surfing and local celebrities were treated to the wacky antics of MC Deon Bing, a thought provoking talk on community spirit and songs by Verity Price, the grand niece of Heather Price who in 1919 at Muizenberg became the first South African recorded riding waves standing on a surfboard, and presentations on the background and aims of the project and the need to raise funds to design and implement the landmark. Tony Smith, chairman of the Muizenberg Improvement District (MID), explained that the non-profit company that is driving the Surfers’ Circle project and obtained permission to use the traffic circle at Surfers’ Corner for the landmark was inspired by Heather Price’s historic achievement, the role surfing has played in the economic development of the town, the way it has fostered cultural diversity and social cohesion and gained international recognition for Muizenberg as a destination of choice in South Africa. He noted that the MID’s mandate included maintaining the landmark once it was built, but that all the estimated R2 million required for the design and construction of the centrepiece, walkways embedded with plaques honouring the country’s surfing legends and the landscaping would have to come from fund raising efforts such as the Big Jol and donations. An audio visual production on the landmark, live music from the Robin Auld Trio and a heartfelt rendition of Andre de Villiers’ tribute to the late John ‘Oom’ Whitmore, the Doyen of South African surfing, were followed Grant ‘Twiggy’ Baker celebrating his recent crowning as the 2014 Big Wave World Champion and inspiring everyone to follow their dreams. The highly anticipated announcement of the names of the first surfers whose names will be honoured in perpetuity on the plaques in the Walk of Fame, and particularly the appearance and comments by Cape Town inductees Dave Meneses and John Grendon, were the highlight of the evening..
Meneses, 76, commented wryly on the rigours of surfing in the frigid waters of the Cape Peninsula in the 1950’s and early ‘60’s before wetsuits and leashes were invented and the effort required to hang onto surfboards that weighed 20 Kgs or more in giant waves at the Outer Kom and other powerful West Coast breaks to avoid having to swim 300 metres to the beach to collect them after a wipe-out. Grendon, an extreme waterman and multiple SA Veterans champion, who is credited as the first surfer to ride a wave at Jeffreys Bay in 1964, laconically replied ‘Lonely’ to a query on what it was like surfing at Scarborough back in the early ‘60’s. He went on to explain that he, his brother Robert, who graced the cover of the SA Surfing magazine in 1966, and sister Jane, an early women’s surfing champion, shared a single surfboard and were the only surfers in the town that is now home to more than 100 wave-riders with many more visiting when conditions are good. 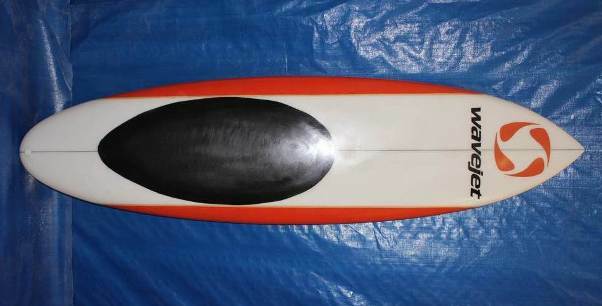 The Cape Town pioneers include Whitmore whose energy, inquiring mind and pioneering spirit saw him experiment with innovative board building techniques in the ‘50’s before introducing the polyurethane foam and polyester resins that the vast majority of surfboards are constructed of now. 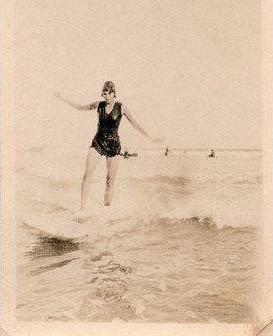 He also imported the first international Surfer magazines and surf movies (including the iconic Endless Summer where he starred in the SA segment), invented surf racks, hosted the first daily surf report (which ran for more than 30 years on Good Hope Radio), was the first Chairman of both the Western Province and South African Surfing associations, managed the first official Springbok surfing team at the World Surfing Championships in California and won the SA Masters surfing title twice. The Durban contingent comprises George Thompson, a three-time SA men’s champion and four-time Springbok acknowledged as the country’s best surfer of the ‘60’s, along with George Bell, a standout in the early ‘50’s who introduced fins to the hollow wooden surfboards of the era enabling surfers to ride across waves instead of straight towards the beach and the late Leon ‘Dux’ Coetzee whose equipment innovations after returning from representing South Africa at the lifesaving championships held alongside the 1956 Olympic Games in Australia led to Finn Anderson surfboards becoming the equipment of choice for the country’s surfing community between 1957 and the introduction of urethane foam in 1961. The trio of inductees from East London comprise the late Bobby Joubert, a legendary man-mountain who mastered many of the breaks in the area, led Border surf teams in the early national surf contests and manufactured Joubert Surfboards before introducing Rick Surfboards under license from the USA. He is joined by supreme surfing stylists Roger Taylor and Mike Hornsey who discovered new surf breaks in the area and motivated their peers with their dedication to the surfing lifestyle and inspirational surfing. Port Elizabeth is represented by John Heath, who was also nominated as a Cape Town inductee for his surfing skills in the late 50’s before becoming influential in the Eastern Cape in the early ‘60’s by taking many youngsters along on his regular trips to nearby Jeffreys Bay and forming the Eastern Province surfing association that hosted the first interprovincial surfing contests. The evergreen Leo Davis, who still travels to exotic equatorial surf locales, inspired generations of 60’s PE surfers by forming the Commodore surf club and fellow inductee, the late Sandy McGillivray, became the era’s ‘Mr Surfing’, operating the first surf shop and building Seal Point surfboards. The party continued with nine recipients awarded prizes totalling nearly R25 000 before legendary surf muso Steve Walsh joined the Robin Auld Trio for another rocking session and the evening closed out with dance music from the Bacardi mobile disco. The success of the Big Jol launch party was made possible by the support of True Blue Travel, African Perfection Guest House, RVCA, Quiksilver, WaveJet, Roxy’s Surf Emporium, Boekenhoutskloof Winery, Hurley, The Drift Villa and Winery, Blue Bottle Liquors, Khuluma Meals, Soundworx, Grit Security and the staff and students from the False Bay College Catering Department, along with many dedicated volunteers and unsung heroes. For further details on the Surfers’ Circle Walk of Fame, including how to make donations or volunteer your services, please contact Chevone Petersen at manager@mid.org.za or 021 788 1196. The Surfers’ Circle Walk of Fame is a project of the Muizenberg Improvement District (MID), a Not for Profit Company that has been inspired by the pivotal role surfing has played in encouraging economic growth, fostering cultural diversity and social cohesion and gaining international recognition for Muizenberg as a destination of choice in South Africa. The historic national landmark celebrating the heritage and culture of surfing will be constructed on the traffic circle at Surfers’ Corner in Muizenberg and includes a life-size centrepiece and a Walk of Fame comprising landscaped gardens surrounding walkways embedded with plaques honouring the country’s past, present and future surfing legends. After a four year journey to obtain permission to build the landmark, every cent of the estimated R2 million required to design and construct it will come from donations and fund-raising efforts. 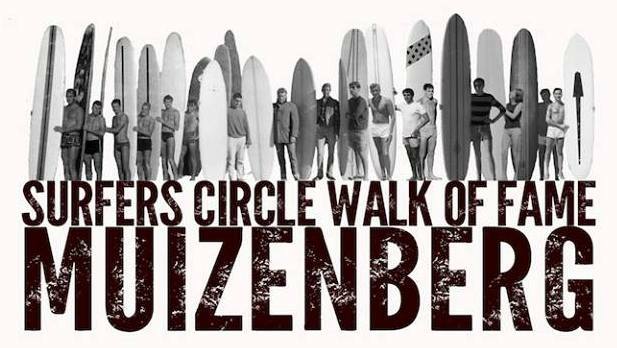 The ground-breaking Surfers’ Circle Walk of Fame, a national landmark to celebrate the legends of South African surfing in perpetuity, will be launched at a momentous function at the Pavilion in Muizenberg, Cape Town, on Saturday 5 April. 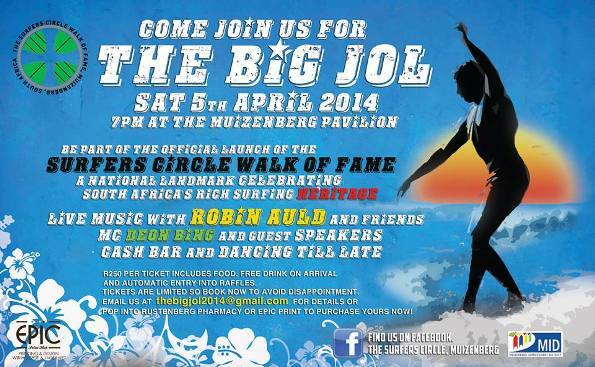 Aptly titled The Big Jol, this gathering of hundreds of surfing luminaries and local celebrities will feature live music and audio visual presentations, reveal the details of the country’s first national surfing landmark, announce the names of the first 12 surfing pioneers to be honoured in the Walk of Fame and disclose the selection criteria for future honourees. With the effervescent Deon Bing as master of ceremonies, lucky draw prizes totalling more than R20 000, great food and drinks on tap and plenty of camaraderie, the Big Jol will go down in the annals of surf folk lore as a night to remember! Long-time surfer Robin Auld heads the music bill with his internationally renowned blues, folk, reggae and African influences given a rock steady feel by bassist Roger Bashew and drummer Paul Tizzard. Andre de Villiers provides one of the highlights of the show with his tribute to the late John Whitmore, the Doyen of South African surfing, while fellow SA music legend Steve Walsh will join the Robin Auld Trio in a rocking jam session. The evening’s entertainment is kick-started by Verity, whose tenacity, inspirational music and revolutionary use of crowd-funding enabled her to produce her first album in 2008. A sought after speaker on innovation and thinking outside the box, Verity is a direct descendent of Heather Price, the first South Africa recorded riding waves standing up on a surfboard at Muizenberg in 1919. Tickets for the Big Jol are R250 each, or R2 000 for a table of eight, and are available from Rustenberg Pharmacy or Epic Print in Muizenberg. Contact Tessa at muizies@gmail.com for details on how to obtain tickets / tables via electronic banking. Tickets numbers are limited and will be sold strictly on a first come, first served basis. The historic national landmark celebrating the heritage and culture of surfing will be constructed on the traffic circle at Surfers’ Corner in Muizenberg and includes a life-size bronze statue and Walk of Fame comprising landscaped gardens surrounding walkways embedded with plaques honouring the country’s past, present and future surfing legends. After a four year journey to obtain permission to build the landmark, every cent of the estimated R1,5 to R2 million required to design and build it will come from donations and fund-raising efforts.